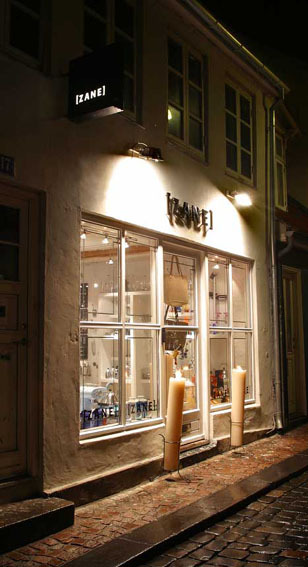 ZANE opened in June 1998 in Volden 17 – in the heart of Aarhus' cozy 'Latin Quarter'. In September 2010 ZANE opened shop number 2 in the heart of Copenhagen – in Bredgade 4, 1260 Copenhagen K.
ZANE sells cut flowers and a select mixture of things for the home. We create bouquets, flower decorations, wedding bouquets, funeral wreaths etc. We offer fresh flower bouquets every day and we are happy to make to order. The owner of ZANE, Susanne Nørskov Bjerregaard, is a trained florist from LEVINSON BLOMSTER in Kolding in 1996. Check out Munch & Levison Blomster in Kolding.